Autumn is coming and with it an influx of dull, boring coats and stockings. As much as I know by the time June comes I too will have to embrace the more subdued colours of winter necessity, I can still hold on to my bright prints and hints of bare skin for the time being. Autumn is a time to layer, to mix and match, and to shine like the autumn leaves. 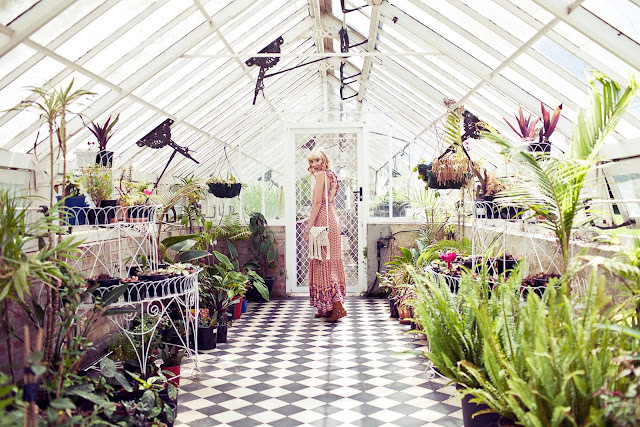 This project, Wild Roses, was photographed at Werribee Mansion, just south of Melbourne. This beautiful building is host to a day spa and the grounds cater for picnics, weddings and the odd music festival too. I've been meaning to shoot at the Mansion for a while now, and finally it's all come together in this project which draws inspiration from the Autumn season.